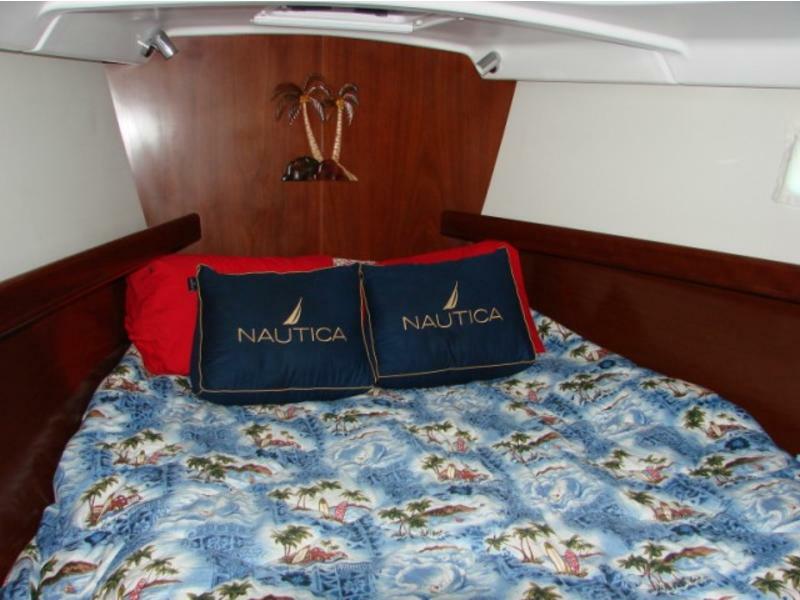 The Explorer is a 2006, two cabin 473 that has hosted many celebrities. 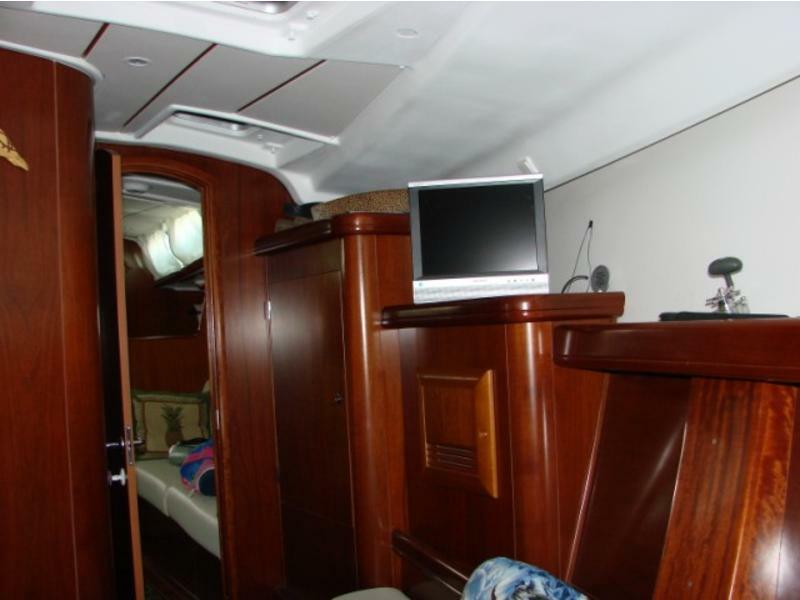 This yacht shows very well and is easy to single hand with the assistance of the bow thruster and the furling main and jib. 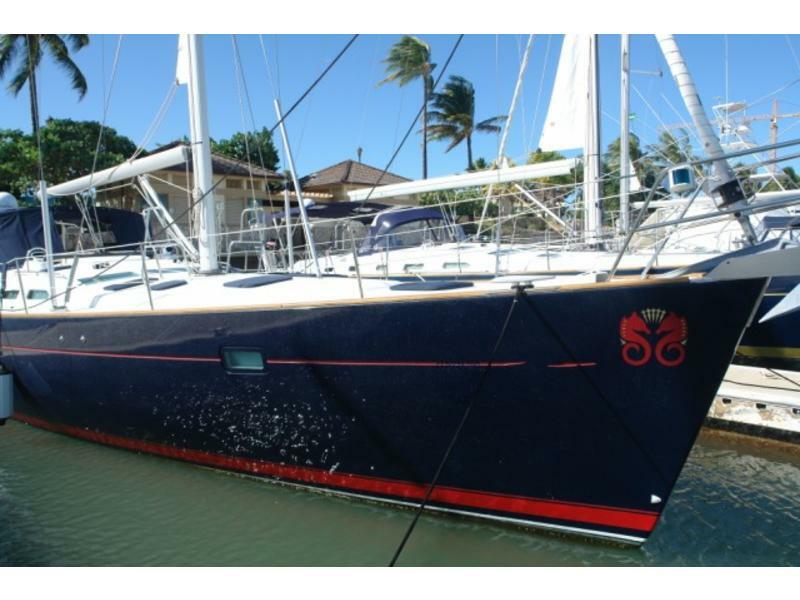 She is lovingly maintained and is in turn key condition. RL70CRC plus chartplotter at helm, RL70 Repeater at navstation. ST60 Tridata, Wind and Multifunction units at helm. ST6001 Linear Type 2 autopilot. PC interface integration server at Nav station for laptop/Raymarine 6.0 sw connection. VHF Radio with RAM Mike. Radar with 2KW dome mounted on the mast. Raystar 125 LP WAAS GPS. Four 6 volt AGM Batteries and starting battery. 40amp battery charger, 110V shore power and cord. prosine inverter , link 1000 battery monitor. 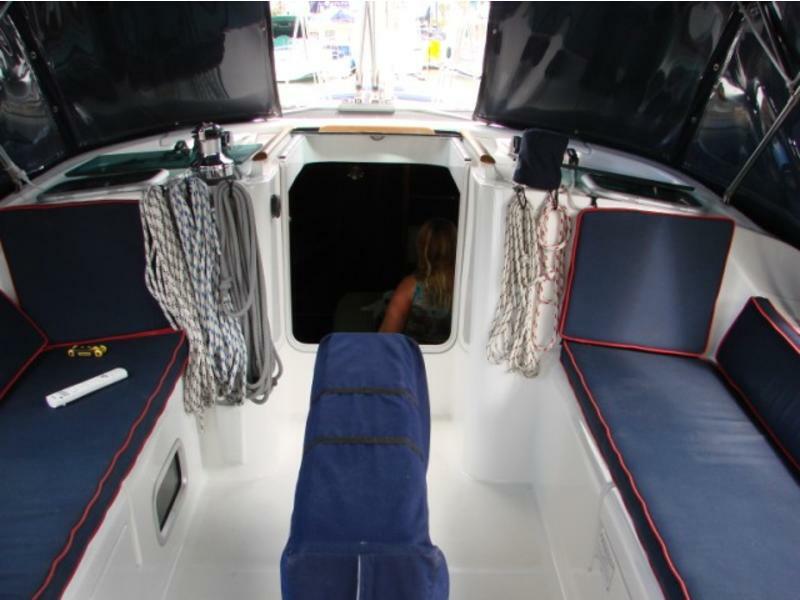 Roomy cockpit accessed by walkthrough transom and integral swim platform. Twin steering stations each with compass and leather covered wheels. Cockpit table removable with canvas case. (2) 64 Lewmar primary genoa winches on cockpit coaming near helm. (1) 40 Lewmar maneuvering winch. (1) 40 Electric winch, 6 winch handles. 2 Genoa tracks with adjustable cars. Mainsheet traveler adjustable on cabin top. (8) Spinlock clutch stoppers on coachroof. (6) Folding pad eyes – for genneker sheets. SS bow and stern pulpits, lifelines with gates port and starboard. 4 stainless steel handrails on coach roof. Genco Navy blue Dodger with lexan windows. Double spreader keel stepped mast. 2 Genoa foot blocks with jammers. 20kg stainless Bruce style anchor – 100′ chain, 250′ nylon rode. 6 anodized aluminum mooring cleats. Cockpit shower – hot and cold. Solid boom vang led to cockpit. 2 reefs led aft to stoppers. 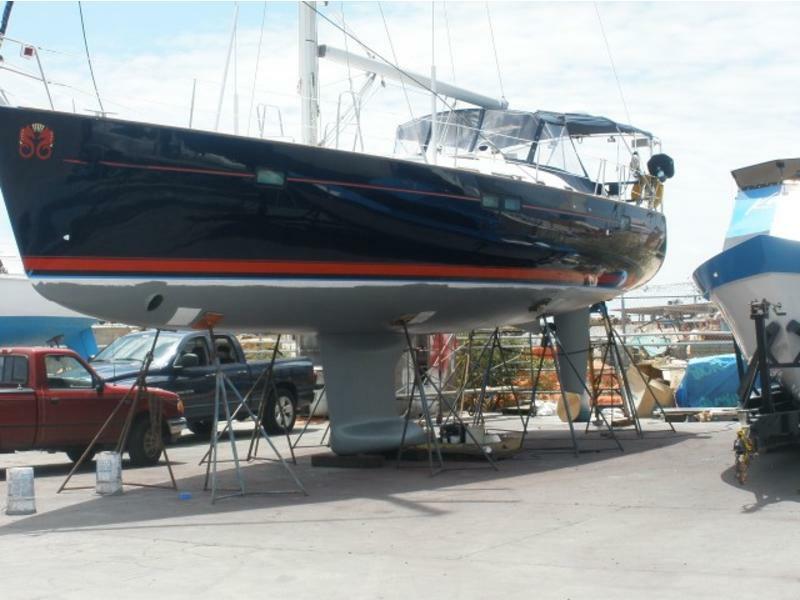 Adjustable track on the mast, topping lift and downhauls led aft. 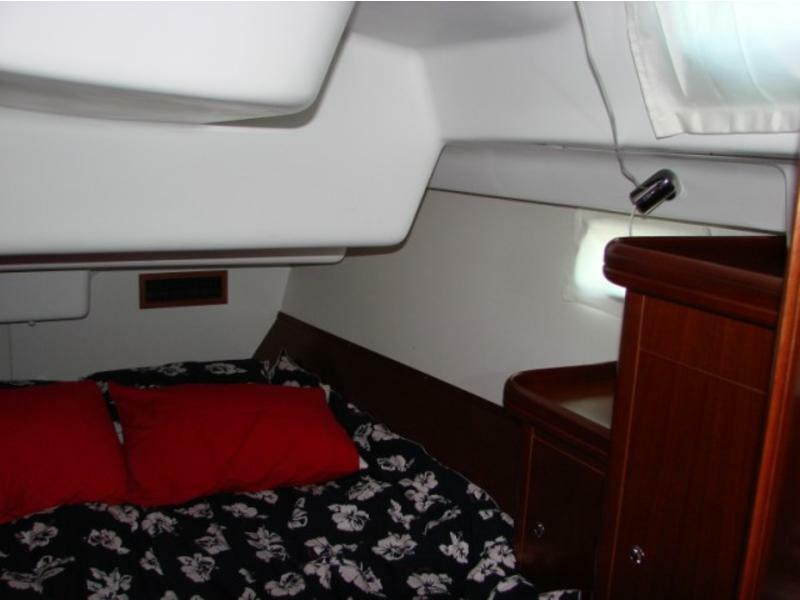 Two Cabin Layout with master forward and port aft cabin. 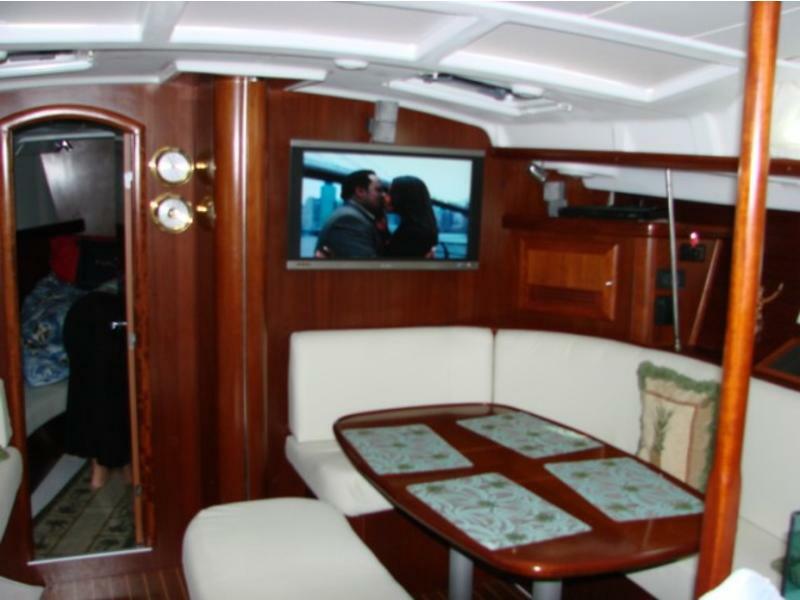 U-shaped settee with table that converts to double berth. Central bench seat with storage underneath. White duratouch upholstery that looks and feels great. Wood companionway steps hinged for engine access. 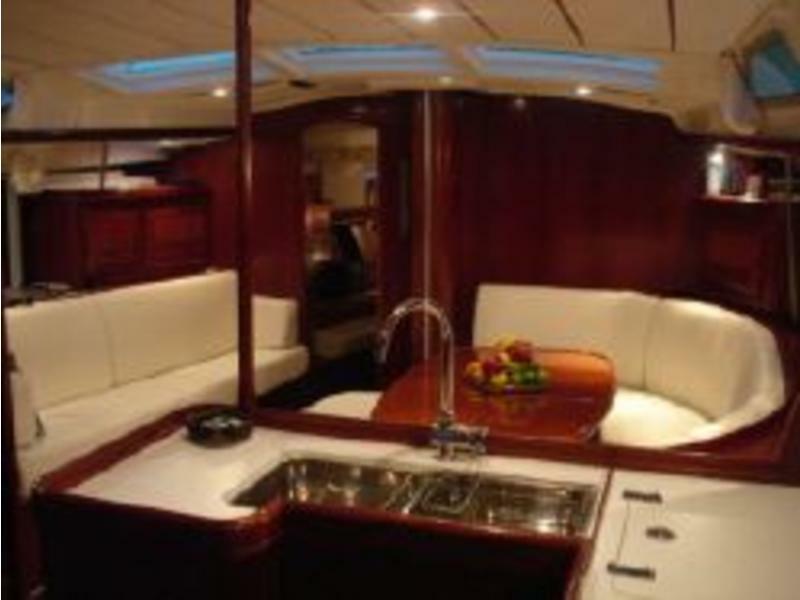 Forward facing navigation station to port midship. 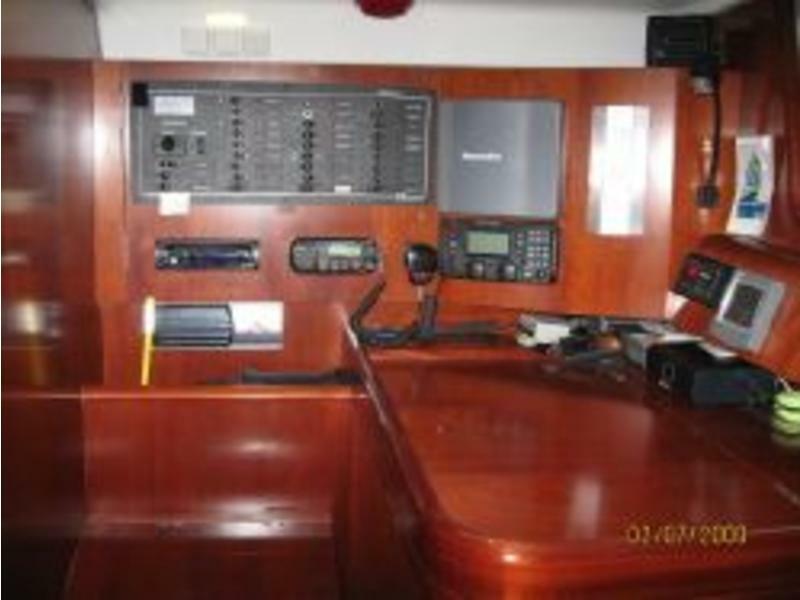 Roomy chart table with bookshelf outboard. Corian counter top provides ample counter space. Double stainless steel sinks with hot/cold pressure water. 12V Electric front loading refrigerator, top loading freezer. 3-burner Force 10 stainless steel stove with protective bar. 2 Storage drawers beneath berth. Vanity and sink with hot/cold pressure water. 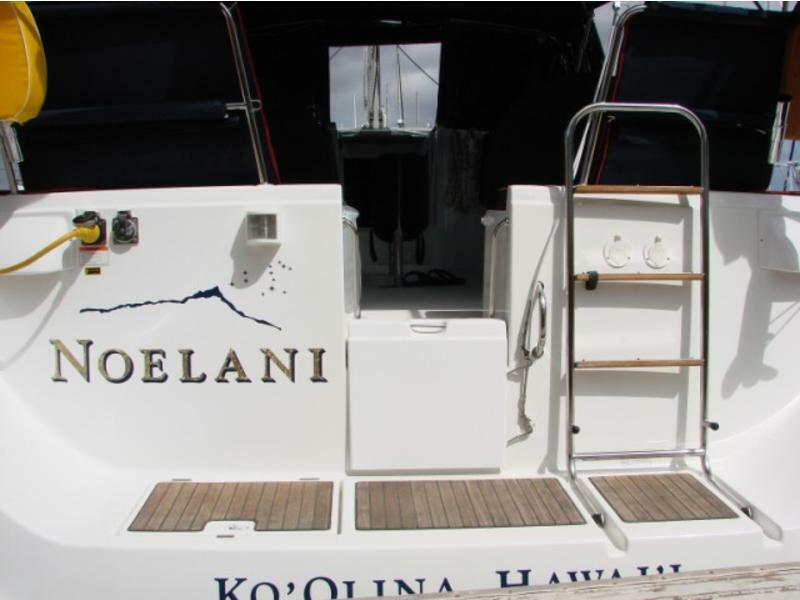 Marine toilet with holding tank and macerator pump.